This is the fourteenth in a series of blog posts about recovering from the Gulf oil spill and from oil dependency overall. The first introduces the series. Happy Independence Day! As we celebrate freedom from one kind of tyranny, I'm focused on paths to freedom from another: from the tyranny of oil/auto dependence. 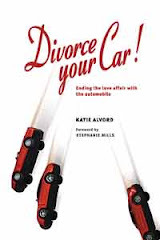 As I wrote in Divorce Your Car!, oil/auto dependence keeps us shackled in numerous ways. We spend huge amounts of money and time on cars and oil, and even sacrifice lives to the oil/auto system – in wars, in crashes, and in industrial catastrophes like the Deepwater Horizon rig explosion. I'm far from the only one to point this out. 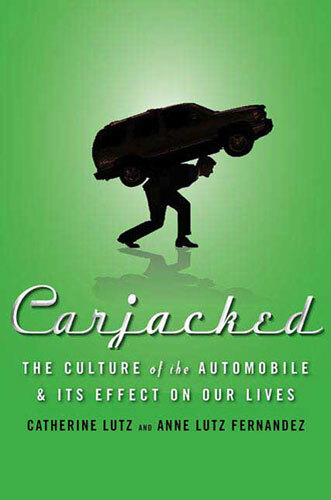 Most recently, the book Carjacked: The Culture of the Automobile and its Effect on our Lives, by Catherine Lutz and Anne Lutz Fernandez, does an excellent job of exploring and documenting the many ways we sacrifice ourselves to oil/auto tyranny. I highly recommend the book, and for a sense of the wit and wisdom of its authors, check out the chat we did not long ago at the Firedoglake.com Book Salon. The tyranny of oil has now cost us large swaths of the Gulf Coast ecosystem and an entire way of life. How do we shake off this kind of tyranny? 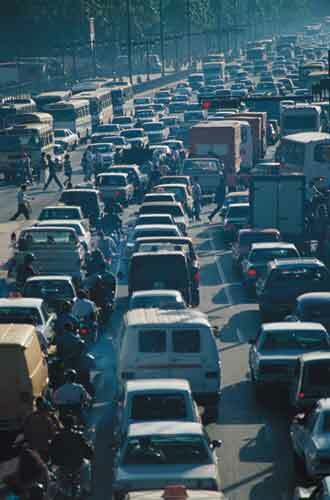 Uncoupling from our cars has to be a huge part of that, since a big percentage of the oil we use fuels our driving. In the U.S., highway vehicles consume about 84% of the petroleum we use for transport and close to 60% of all petroleum we use for any purpose. Stop all subsidies for oil companies. The same oil companies that make billions in profits each year still get tax breaks from the U.S. government. What's wrong with this picture? Ten years ago, an estimate of these subsidies that I cited in Divorce Your Car! quantified them at $2.5 billion per year. Now, reports the New York Times, these subsidies amount to $4 billion per year. While a 2007 attempt to end oil company tax breaks failed, there is again legislation in Congress that would cut handouts to the oil industry. Eliminating them would at least put these costs back in the marketplace, improving the competitiveness of cleaner fuels and non-motorized travel. Use the revenue gained from ending oil subsidies to support walking, cycling and transit. We can go beyond ending oil subsidies and make up for some of the damage they've done. See the next few suggestions. Invest more money in foot-friendly infrastructure. The website for Walkable Communities, Inc. has an excellent list of qualities that make communities walkable. Compact town centers, low traffic speeds, public spaces with interconnected walkways, and other measures that create more traditional, walkable neighborhoods all encourage people to travel on foot. In traditional neighborhoods in Chicago, for instance, residents walk for 37% of trips, compared to only 3% in suburbs. This adds to quality of life as it cuts oil dependence. Fund more bicycle facilities. When the German city of Erlangen improved its bicycle facilities, bike trips rose from 10% to a whopping 30% of travel in 12 years. An interconnected system of bike routes, lanes and paths; secure, convenient, covered bike parking; bike racks and spaces on buses and trains; and safer roads can go a long way to support cycling and cut oil use. Expand transit and intercity rail. We still suffer from a massive imbalance in the amount of funding that goes to roads (gargantuan) versus the amount going to urban transit and intercity passenger rail (paltry). This is a major contributor to our dependence on oil. Investing in transit has huge benefits even beyond cutting oil use, including job creation and promoting quality of life. For a taste of this, check out this morning's very good story about the Paris Metro from NPR. It captured how much this wonderful transit system enhances the city, and how much people love it. Give the story a listen or a read, and see if you agree: all urban areas should have such superb transit amenities. Expand support of programs like Safe Routes to School. We all know parents who feel enslaved by chauffeuring their kids to and from school. When I wrote Divorce Your Car!, ¾ of all U.S. kids were driven to school, and in the U.K., parents shuttling students accounted for 1/5 of rush hour traffic. With a combination of education, engineering and enforcement, Safe Routes to School has addressed a primary reason parents feel compelled to drive their kids: safety. 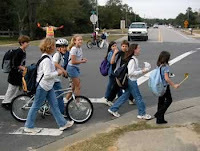 Since a few years ago, SRTS has received federal funding in the U.S., but the level of funding for walking and biking routes, walking school buses, bicycle trains, and other SRTS programs should be increased. SRTS cuts oil consumption and oil dependence, reduces weight gain in kids by allowing them safe exercise, improves air quality, aids community cohesiveness, and frees time up for parents all at once. Support and spread laws like California’s AB32. This is the landmark California Global Warming Solutions Act of 2006, which establishes limits to carbon emissions. Already, the law has accelerated the shift in California to cleaner, greener energy production and manufacturing, helping to reduce oil dependence. Yet now there's an insidious attempt to overturn AB32 through the California initiative process, funded and supported by – who else? – oil companies (including Tesoro, Valero Energy, Occidental Petroleum and the National Petrochemical and Refiners Association). Using slick PR and spinning their proposal as "The California Jobs Initiative," these mostly Texas-based companies claim AB32 hurts job growth in California, but in fact, the opposite is true. For instance, data shows that since passage of AB32, California has attracted a dramatic increase in venture capital for clean technology companies, more than all other leading states combined. And for every $100 million in venture capital, 2,700 new jobs are created – at a rate faster than federal stimulus spending, and much more cost-effectively. If California voters are smart, they'll see through this cynical ploy and vote down the challenge to AB32. Meanwhile, more states would do well to adopt their own versions of the law. Use feebates and rebates to encourage efficiency when cars are purchased. A system of high purchase taxes on big gas-guzzlers, paired with credits on fuel-efficient or cleaner-fuel vehicles, could be revenue-neutral – taxes on the guzzlers could be set to cover the cost of the credits. Over time, this would reduce oil consumption by highway vehicles. To keep the total miles we drive from rising to the point that they negate the efficiency gains, this policy has to be combined with others that support car-free travel. Establish a carbon tax. Have I said this before? Even many business leaders agree that we need a consistent financial signal to move us off oil and toward cleaner energy. As we phase in such a tax, revenues can be used to support mass transit as well as bike and pedestrian facilities. In addition to raising state and national gas taxes, we can allow local and regional governments to levy gas and auto use taxes. In Montreal, such taxes supply significant revenue for the city's Agence Metropolitaine de Transport. I could list more, but I hope what I've included here will demonstrate that we have a wealth of policy options to help free us from oil dependence, if we have the will to pursue them. I invite you to add your own suggestions in the comments section below. And may you find many ways to enjoy independence on this 4th of July holiday!